Jamestech values supporting our communities. Lilly Pilly’s provide safe, neutral and child-focused venue for supervised visits and changeovers to occur between children and their parents and other significant persons in the child’s life. The vision of Dads in Distress Support Services is to set the national benchmark for the provision of support for men going through the trauma of divorce, separation or relationship breakdown, ensuring their safety and wellbeing. At Bravehearts, we take a broad approach to dealing with child sexual assault. Our services are aimed at providing counselling, advocacy and support to victims of child sexual assault and their non-offending family members while educating the wider community and lobbying for change. The Foundation sees it role in the community as assisting educators and parents in the education of children about their personal safety, by funding the development of child safety educational resources; assisting young victims of crime through financial support in addition to that provided by Government agencies; and empowering all Australians to make their own local communities safer places for children. 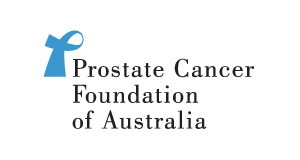 As Australia’s peak national non-government cancer control* organisation, Cancer Council Australia advises the Australian Government and other bodies on practices and policies to help prevent, detect and treat cancer. We also advocate for the rights of cancer patients for best treatment and supportive care. The National Breast Cancer Foundation was established in 1994 to promote and support breast cancer research in all its forms. To date, the foundation has allocated over $55 million dollars to over 230 breast cancer research projects throughout Australia. The National Breast Cancer Foundation (NBCF) is a not-for-profit foundation established to promote and support breast cancer research in all its forms. Somewhere in Australia there is a new call to Lifeline every minute. People can call Lifeline’s 24 hour crisis support service 13 11 14 at anytime day or night. We aim to build a society that understands and responds to the personal and social impact of depression, works actively to prevent it, and improves the quality of life for everyone affected. The Quitline 13 QUIT (13 7848) is a state-wide confidential telephone service dedicated to helping people who want to quit smoking. Available 24 hours, 7 days a week, Quitline offers support, encouragement and resources to help with quitting. Dads On The Air is the most successful community radio program in Australia. It is archived by the National Library of Australia and for researchers represents the most extensive collection of information on the push for family law and child support reform in Australia. It also documents the history of the fatherhood movement in Australia and internationally and provides a fascinating insight into mainstream society’s shifting attitudes towards fathers and fatherhood. The Lone Fathers Association, a national peak body for separated parents, is a non-sexist, non-sectarian, non-profit, and self-help educational and welfare organisation devoted to the interests of lone fathers and their children, as well as their friends, extended family, and carers. Being a hero to your kids is simply child′s play for a dad. The Fatherhood Project is a not-for-profit organisation that supports all fathers to be actively and positively engaged in their children’s lives. Our aim is to improve the health and wellbeing of all children and all families.